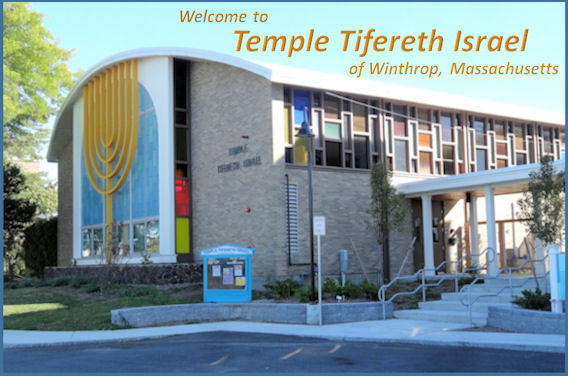 All women associated with Temple Tifereth Israel are invited to join the Sisterhood, both to aid the Temple and its Hebrew School, but also to provide a venue for enjoyment and socialization. 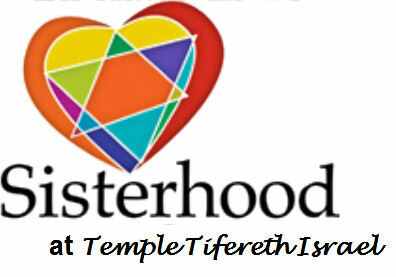 If you or anyone else you know would like to join the sisterhood or participate in any of its activities, please contact the Temple for information. New members and new ideas are always welcome. The April Sisterhood meeting is scheduled for Tuesday, 9 April 2019 at 6:30 pm. To confirm the date and time,call 617-846-1390 or e-mail to ttiwinthrop@gmail.com. Our Temple is attempting to reorganize and elect new officers. Toward this end, the Temple's Board of Directors is occasionally holding meetings. Non-board members are welcome to attend these meetings, but they cannot vote. Non-members who do attend can voice their opinions and make all appropriate suggestions at these meetings. Temple members who are interested in becoming board members are urged to let the Temple know of their interest. There is much work to be accomplished. Workers - not talkers - are sorely needed in this badly overdue endeavor. The next Board of Directors meeting and breakfast is tentatively scheduled for Sunday, 28 April 2019 at 10:00 am. Contact the Temple at 617-846-1390 or at ttiwinthrop@gmail.com to confirm the date and time. For a bit of once-a-month relaxation and friendly banter, spend an hour or two shmoozing with old and new friends at the Women's Once-A-Month Rosh Chodesh Discussion Group. These sessions are open to all women, and all subjects and topics can be brought up and discussed. The discussions are strictly informal. The Discussion Group meets one Saturday a month, after Shabbat morning services, around 12 noon. For the date/time of the next Discussion Group meeting, contact the Temple at 617-846-1390 or at ttiwinthrop@gmail.com.